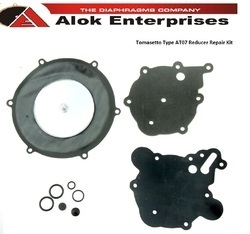 Leading Exporter of tomasetto diaphragms, tomasetto artic at09 reducer (vaporizer) diaphragm repair kit, tomasetto at04 cng reducer (vaporizer) diaphragm repair kit and tomasetto at07 reducer (vaporizer) repair kit from New Delhi. 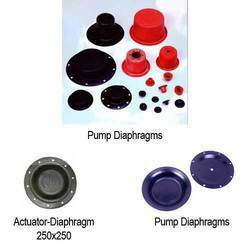 Our firm is actively engaged in offering Tomasetto Diaphragms to our revered customers. Our products are made from high quality rubber and metal procured from established vendors. These product parts are designed as per industry standards and are dimensionally accurate. Owing to their easy installation and long working life our offered products are highly demanded in the market. regeneration kit of diaphragms, membranes, sealings, filters for Tomasetto AT09 Artic autogas, LPG reducer, regulator, vaporizer. It is recommended to exchange rubber parts of the reducer around every 50.000miles. 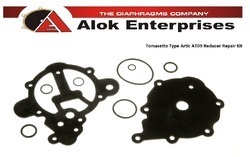 regeneration kit of diaphragms, membranes, sealings, filters for Tomasetto AT07 autogas, LPG reducer, regulator, vaporizer. 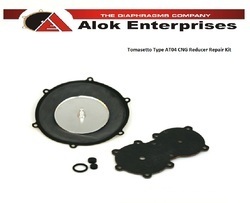 Looking for Tomasetto Diaphragm Repair Kit ?